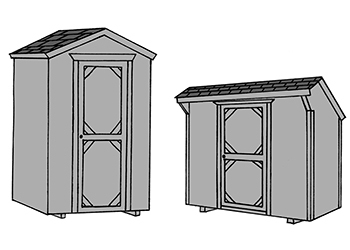 Pine Creek Structures offers a variety of styles for your storage shed. Not sure which style to choose? Scroll through a breakdown of each style below. Click on any image to learn more about that specific structure style and see example of those buildings! 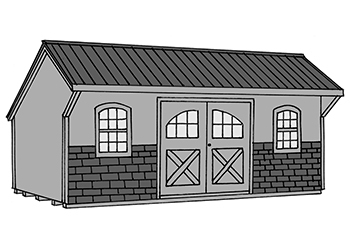 Click here to learn more about Mini Barn style sheds! ° Optimal for overhead space and lofts! 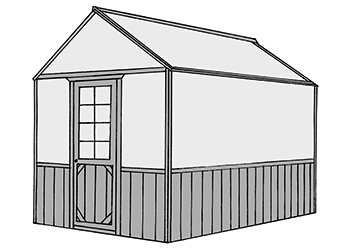 Click here to learn more about Gambrel Barn style sheds! ⇒ Our most popular style shed! Click here to learn more about Peak style sheds! 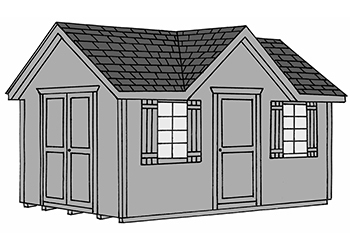 Click here to learn more about Cottage style sheds! 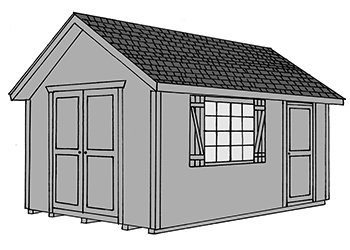 Click here to learn more about Cape Cod style sheds! ° Standard Victorian models include 3" overhangs on all sides. ° Deluxe Victorian models include 8" overhangs on all sides. 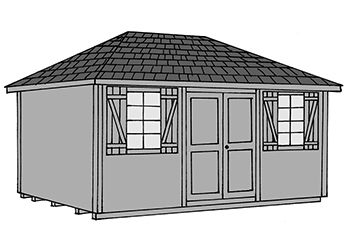 Click here to learn more about Victorian style storage sheds! 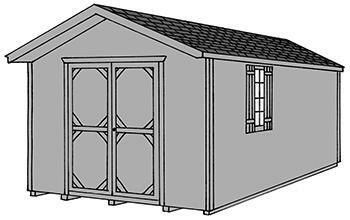 Click here to learn more about Hip style sheds! ⇒ Similar to Cottage style, but with more unique features added! 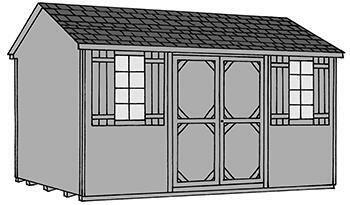 Click here to learn more about Providence Carriage House style sheds! 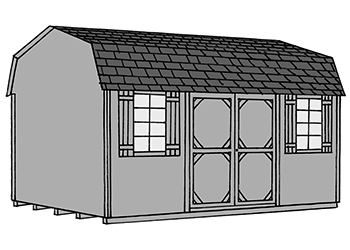 Click here to learn more about Small Outbuildings! ⇒ Two standard sizes: 8' x 12' and 6' x 8'. ⇒ Includes single door with window. 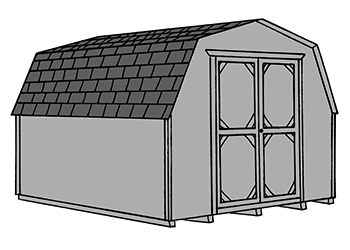 Click here to learn more about Greenhouses! 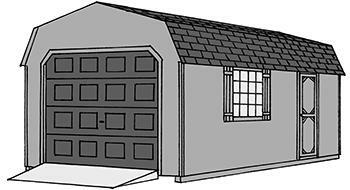 Click here to learn more about Single-Car Garages! 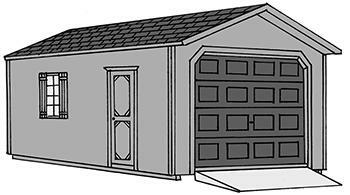 Click here to learn more about Two-Car Modular Garages! Please note: Smaller buildings (such as 6' wide) may include slightly different standards due to size restrictions. This may include a single door instead of a double door or windows with trim instead of windows with shutters. 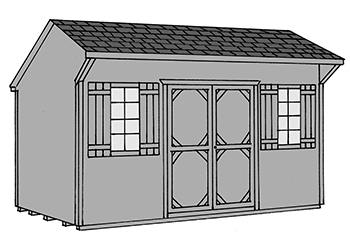 Madison style buildings are available in a limited range of sizes due to economical construction. Buildings with Log, Cedar, or Board 'N' Batten siding include handmade windows with no shutters. Talk to your local store manager about all the details of your structure before finalizing your order.